Presidential war speeches often double as a gauge of the antiwar movement’s weakness or strength. This was borne out again last week with President Obama's major address. President Obama speaks at the National Defense University on May 23. For years the Obama administration did not see fit to comment publicly on the growing drone fleet and its targeted killing program, which independent research demonstrates has led to thousands of deaths. But the anti-drones movement has grown over the past year, with more nonviolent action, civil disobedience, networking, and even a 13-hour filibuster by Sen. Rand Paul. This growing awareness and opposition has increasingly compelled the United States government to shed some light on this policy and to begin a public relations campaign to win hearts and minds for the emerging drones culture. At the same time, the renewed public focus on Guantánamo — unexpectedly sparked by an ongoing hunger strike being carried out by over 100 inmates — has pushed the administration to again grapple with President Obama’s as-yet-unmet 2008 commitment to close the facility. As details have emerged about the practice of force-feeding and the strike has stretched past the 100-day milestone, solidarity fasts and nonviolent actions across the United States have stoked this growing movement. It is not a coincidence that both of these matters were key features of the president’s presentation. These policies were embedded in the larger focus of the speech — a suggested end to the multi-pronged war that the United States has been prosecuting since 2001. In a sharp rhetorical divergence from both the Bush administration and his own, President Obama laid out the conviction that this war, like all wars, must end. But instead of truly finishing this conflict, he proposed indefinitely carrying on military operations, especially drone attacks, designed to concentrate on what he termed the reduced but continuing terrorist threat. It is no accident that President Obama floated a vision of terminating this conflict. After a dozen years of combat, public support for unending war has waned, and the antiwar movement has steadily percolated. But this termination Obama alluded to is illusory. Relying incessantly on drone strikes and other means to kill whomever the U.S. government decides are terrorists and their “associated forces” is endless war by other means. The president’s speech was less about a real shift and more about indefinitely extended hostilities framed in a way that normalizes and institutionalizes them. Winning and consolidating public support for this strategy is crucial for its success, which is why the speech raised, and then blithely knocked down, the critic’s arguments. Drone attacks, the president insisted, are effective, legal and subject to accountability. Here he referred, with no sheepish irony, to a presidential document he had signed just the day before — a text that has not been made public so that the rest of us can assess how much accountability there will, in fact, be. While briefly acknowledging that drone attacks kills civilians (“for me and those in my chain of command, those deaths will haunt us as long as we live”), the president claimed that this is the least lethal option and that, in effect, U.S. lives are ultimately more important than non-U.S. ones. He conceded in passing that drone attacks risk creating new enemies and that the secrecy in which they are shrouded could lead to authoritarian abuse by policymakers. But as with most of these concerns, he briskly waved them away. “Doing nothing is not an option,” he said at one point with simple finality. He is right, of course — doing nothing is not an option. But “targeted killing” or “doing nothing” are not our only alternatives. There are many more effective and enduring solutions, but taking them on would require giving up one’s faith in the power of dominating force and the narrow, dualistic view of the world in which that faith is rooted. For example, a RAND corporation study that analyzed hundreds of terrorist groups found that 43 percent of them “reached a peaceful political accommodation with their government.” In another study, University of Chicago professor Robert Pape examined every suicide bombing from 1980 to 2004 and concluded that 95 percent of which were motivated by a desire to compel the withdrawal of military forces from land the attackers saw as their homeland. On May 23 the president said, “America is at a crossroads. We must define the nature and scope of this struggle, or else it will define us.” He is speaking operationally — we have a choice of tactics — but a deeper meaning lurks here. We stand at a crossroads, but it does not simply represent a choice between the weapons we will wield. There is a qualitative choice between fundamentally different paths: controlling the world through fear, surveillance and the illusion of superiority, or risking another course of nonviolent options and peacebuilding. This is ultimately less about convincing policymakers directly than it is about building movements that illuminate the options that exist. This is the point that I made in 2009 in reflecting on President Obama being awarded the Nobel peace prize. This is why presidential speeches are a barometer of the movement. When movements are strong, it is more likely that just and peaceful alternatives will be entertained — and can even make their way into a president’s vision. For example, John Kennedy’s sudden decision in 1963 to back the Partial Test Ban Treaty was influenced by the peace movement, while Lyndon Johnson’s swung his support behind the landmark voting right’s bill in 1965 after the Civil Rights movement’s march from Selma to Montgomery. These are high stakes. We are being asked to sign on to an increasingly militarized world that, like the wars in Iraq and Afghanistan, will likely result in a tsunami of unintended consequences. But we have another choice: nonviolent alternatives. In this regard we have no better example than Medea Benjamin who sought to engage the president on both Guantánamo and drones during his May 23 speech. Not only did Benjamin raise salient facts left out of or muted in the president’s presentation, such as the fact that as commander-in-chief he does not have to wait for congressional action to close Guantánamo or that one of his drones strikes had killed a 16-year-old U.S. citizen. Then, only a few hours later, she was part of a national strategy conference call plotting nonviolent action in support of the Guantánamo hunger strikers. They began to organize a June civil disobedience action featuring people in orange jumpsuits and black hoods representing the 86 prisoners who have been cleared for release but are still being held, a delegation to Guantánamo and an effort to meet with the president about closing Guantánamo immediately. Nonviolent actions, campaigns and movements open space and possibilities that previously seemed far-fetched and unlikely. The president’s speech may represent a tactical change, but the real turning point will come as a result of the growing momentum of a movement that dramatically pools its people-power for both clear skies and human rights. The problem with Obama’s comments on the use of drones is that they are the same old same old as his 2008 campaign comments on the wars of that time. They are the same in the sense that Obama’s criticisms were not based on principle but on pragmatics, on business criteria. This was noted by several on the Left and this led them to believe that Obama would fight his own wars if the business criteria he used to judge Bush’s wars were met satisfactorily. If that is the case, how is it that Obama’s current comments on drones signal a change? In this speech to the National Defense University on May 23, 2013, Obama admitted that he ordered the murder of 6 Americans. Obama admitted he gave the orders and said, “And as president, I would have been derelict in my duty had I not authorized the strike that took him out.”. 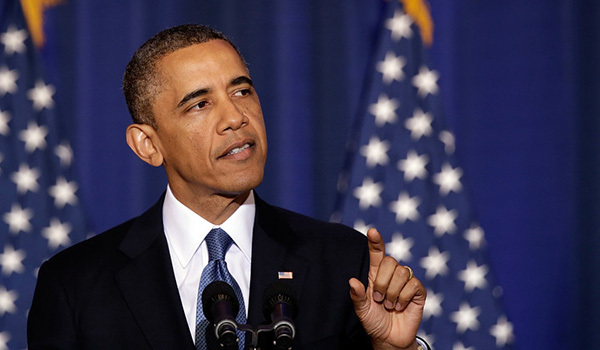 Obama authorized the strikes that “took out:”. Sergeant Smith’s father viewed the video of his son’s murder and was stunned. he said, “You couldn’t even tell they were human beings, just blobs.”.